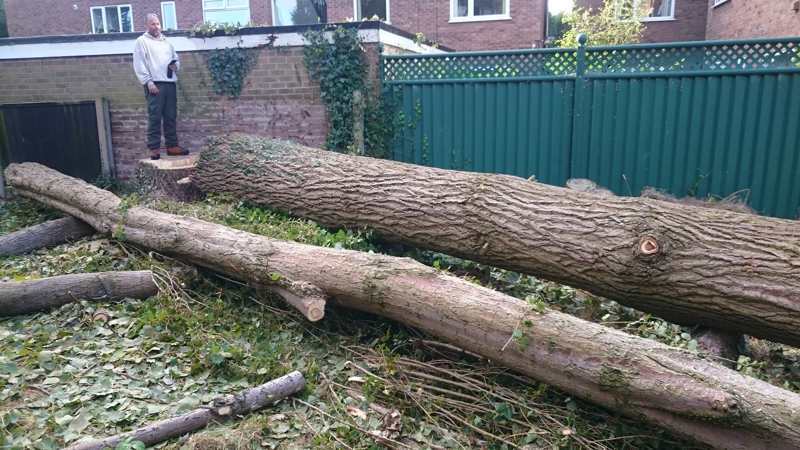 Being based in the middle of South Manchester, most of our tree removals are in tight spaces in small gardens where felling them is not an option and dismantling is the way to go. 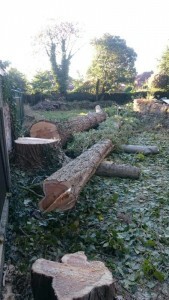 It’s always exciting when there’s plenty of space and we get to show off our felling skills on a large tree. 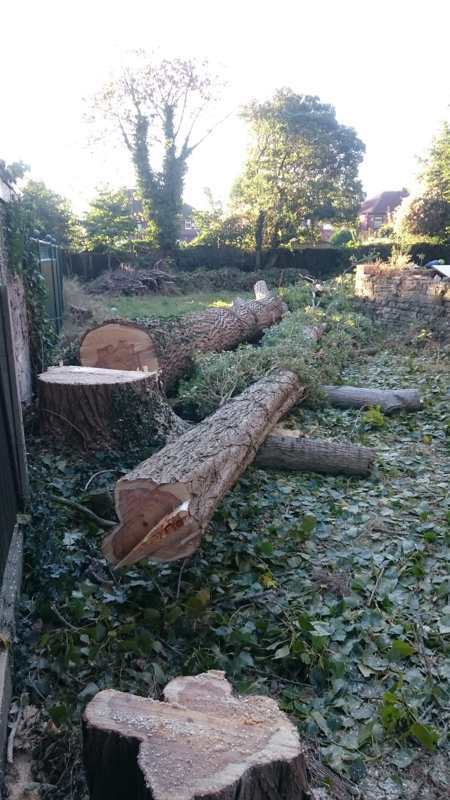 In this case we had to dismantle most of a large broad spreading poplar and swing pieces away from the neighbouring garages using the RC2000. The wind was in our favour but the natural lean of the tree was against us so we left the top intact and got a guide rope attached . 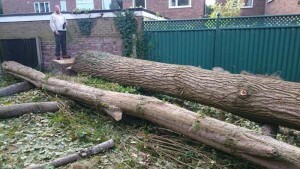 This was rigged to the base of another tree in the felling line, through several pulleys, giving us the tension and control needed to pull the remainder of the tree over with the help of some felling wedges and careful cuts. It landed right where we wanted it and left just enough room between it and the wall, to fell a tall lombardy poplar that was behind it. This one landed perfectly in the gap just missing the wall by a whisker. Very satisfying when the client is stood there filming the fells. Fells one and two side by side on the deck. 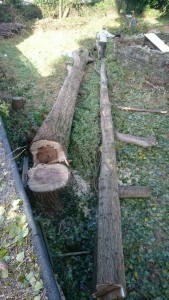 The first two trunks ready for logging up. Perfect fells with the help of pull lines. 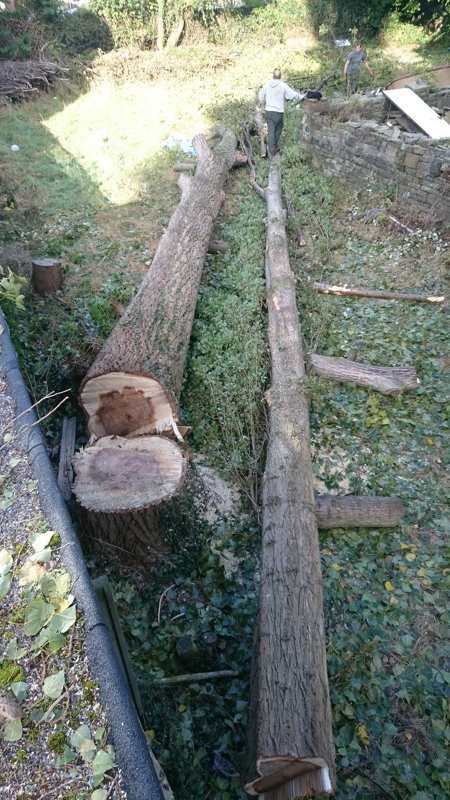 We made a few rudimentary benches out of some of the timber and took the rest to the nearby Tree Station where it was processed into biomass fuel. 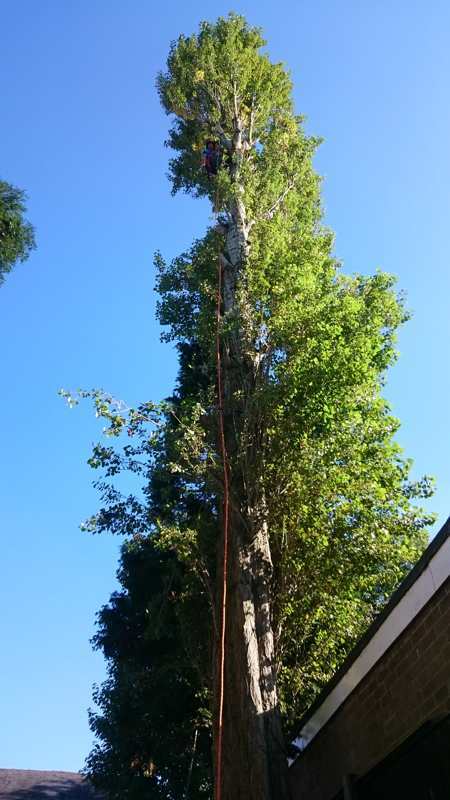 Rob then climbed the remaining lombardy poplar and got a good high line tied near the top of the tree so we could then fell it along the same line as the previous two. Rob setting a high pull line for the third poplar.